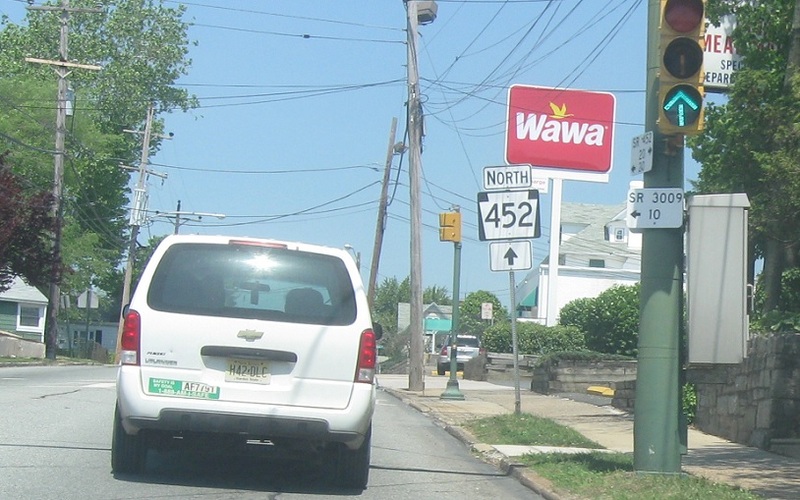 No reassurance shield as Route 452 begins. 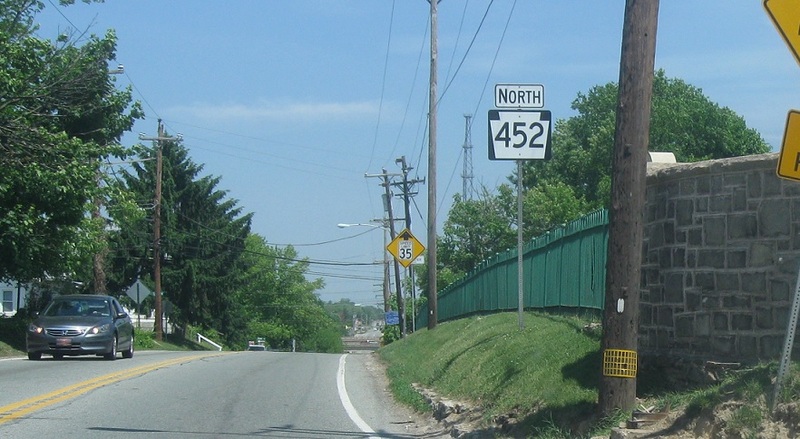 Stay straight for Route 452 as we enter Linwood. Reassurance shield as we head out of Linwood. 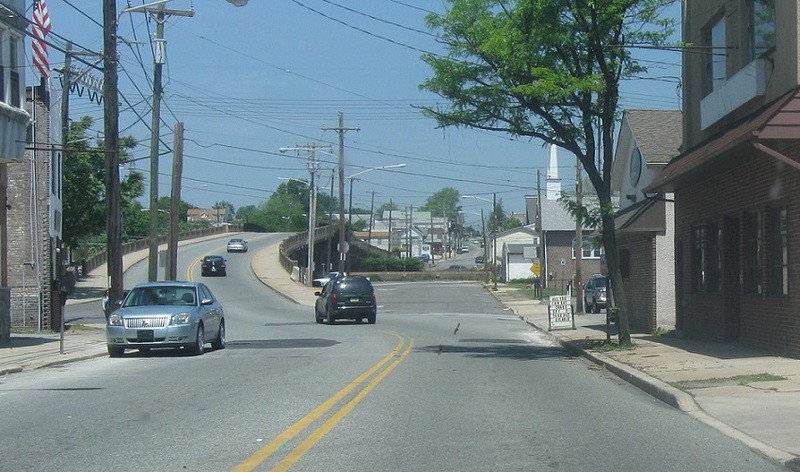 Just after that we’ll approach I-95. 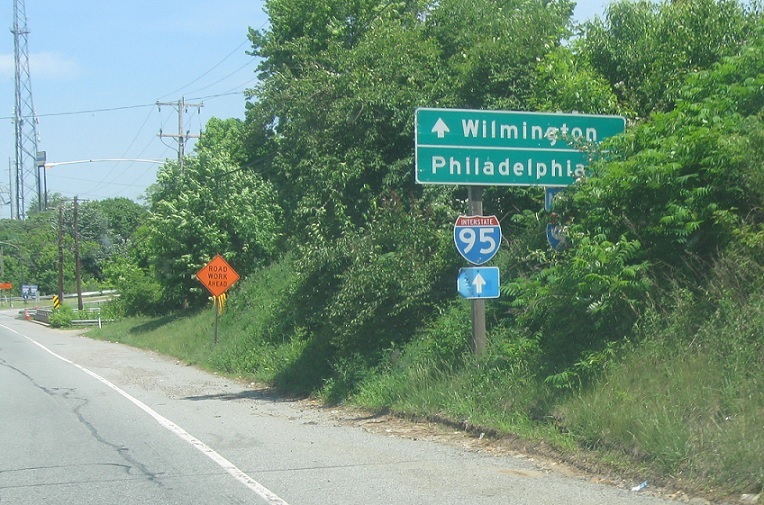 Follow 95 north to Philly and 95 south to Wilmington, Del. 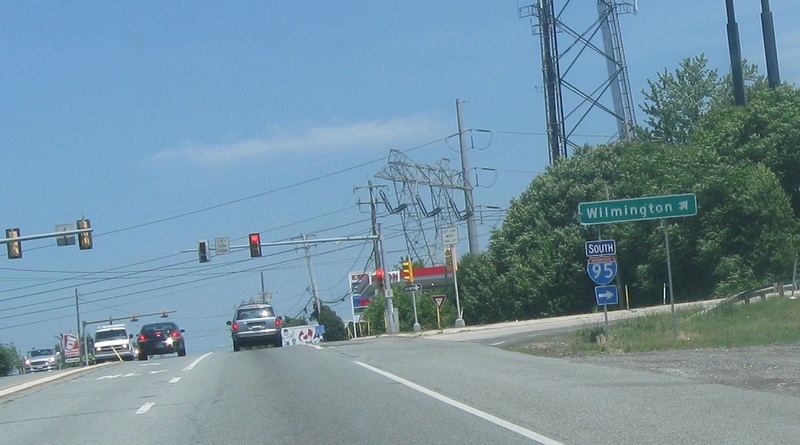 Turn right for I-95 north. 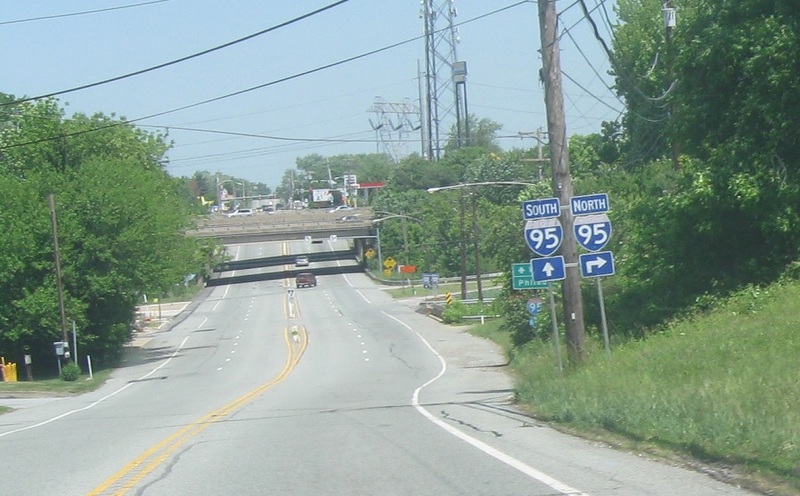 Turn right for I-95 south.